Crab for 50 Cents?! 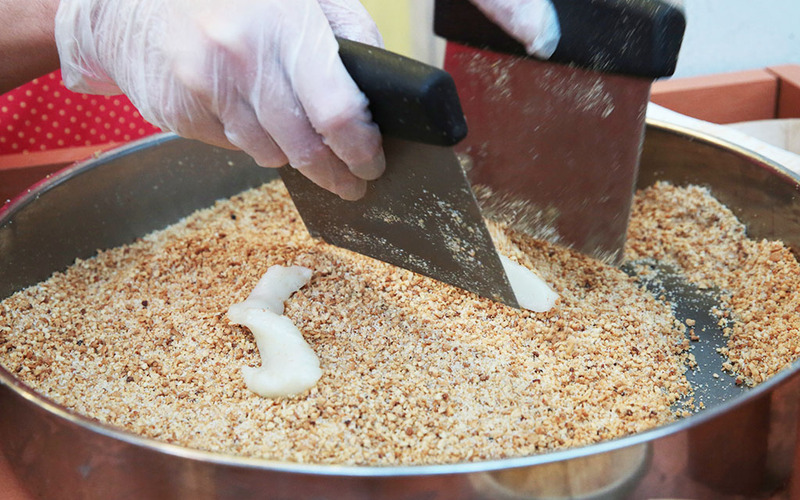 You’ll never believe what this Street Food Festival has! If you think food for 50 cents is impossible to find in this day and age then you’re in for a nice surprise! 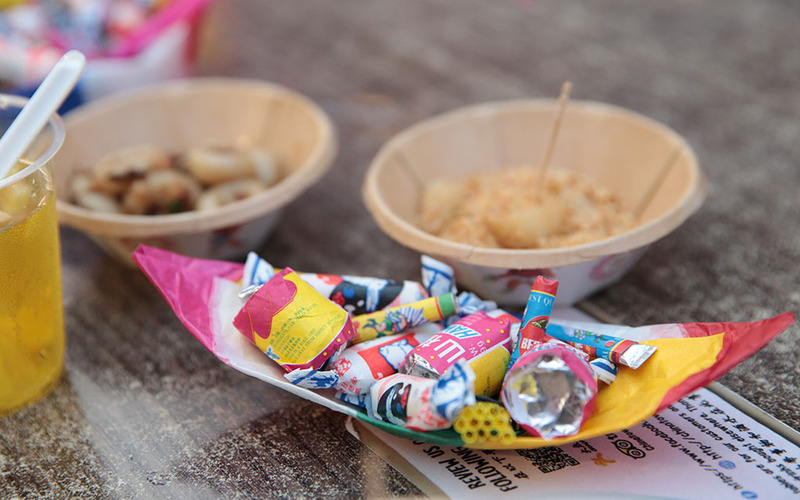 From the 29th to 30th of July, Chinatown Food Street will turn into a 80s wonderland filled with traditional food, drinks and games!Sounds too good to be true? Here is what you can expect at the festival! 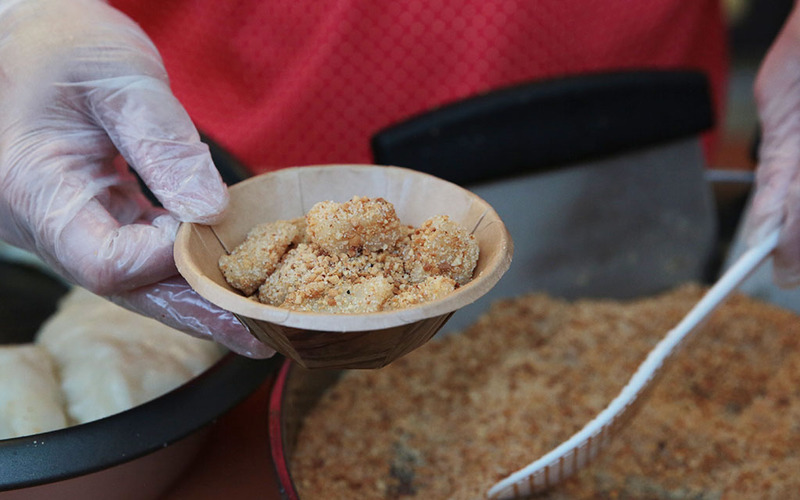 Expect to receive freshly prepared muah chee at the fest! 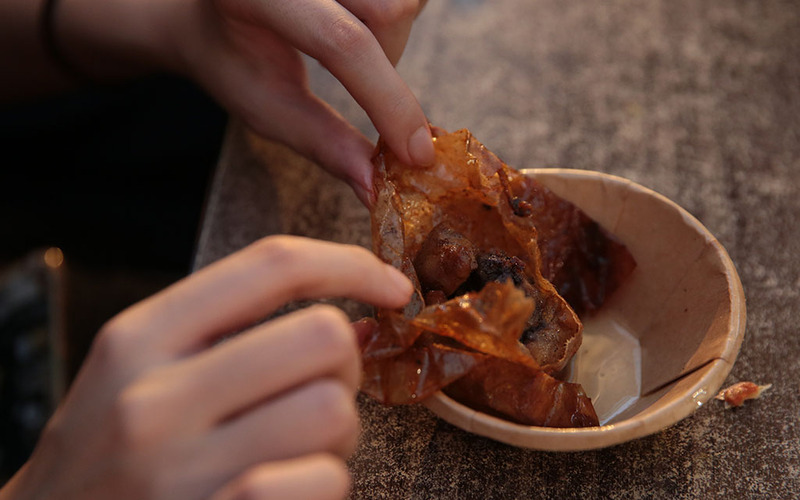 Prepared right before your eyes, the traditonal dessert is sure to tantalise taste buds with its light texture and nutty outer layer. There’s no stopping once you’ve taken a bite! Traditionally made of yam and eaten at festivals to symbolise wealth, fried abacus seeds are a chewy snack loved by all ages. Not only is it fun to snack on but it packs a punch in terms of flavours. 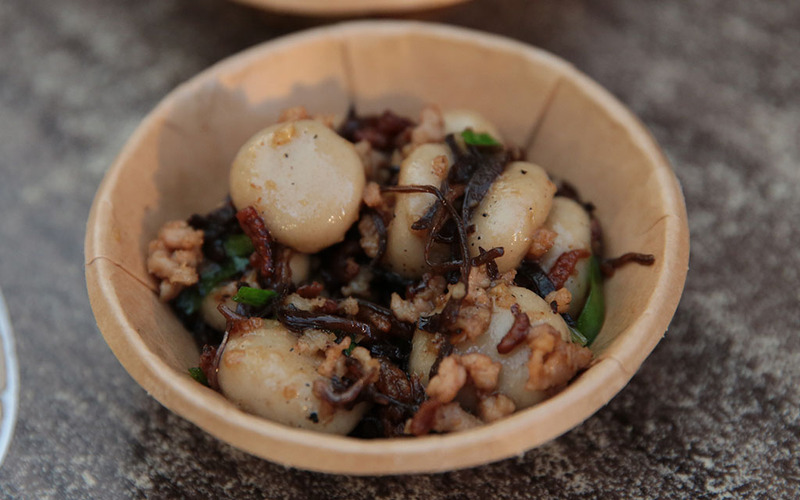 Don’t forget to catch the chefs stationed at the event frying up the abacus seeds! It’s definitely a sight to behold! If you’re a self-professed seafood lover, this salted egg crab is gonna hit all the right notes. A harmonious blend of sweet and salty, the fresh crab is not out to disappoint! The chefs are extremely generous with the sauce so don’t be afraid to coat every piece of crab meat with the delicious sauce! Let’s be real. Who doesn’t love a good, comforting, Kong Bak Pau?! With it’s fat to meat ratio, you can be assured this delicious combination will melt in your mouth. 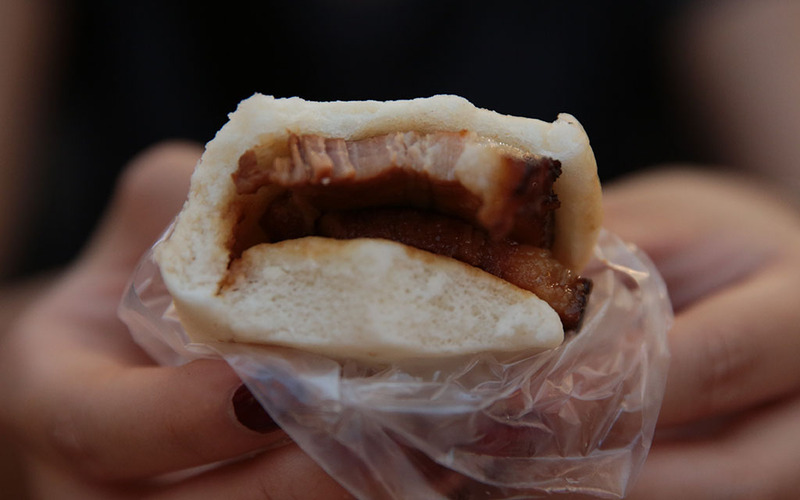 Served warm, the bun is fluffy and compliments the pork sandwiched in between perfectly! The Pork leg Bee Hoon served at the 50 cents Fest is on a league of it’s own. The noodles are cooked to perfection and the sauce was a heavenly mix of juices from both the pork and vegetables. A 10/10 in my book! 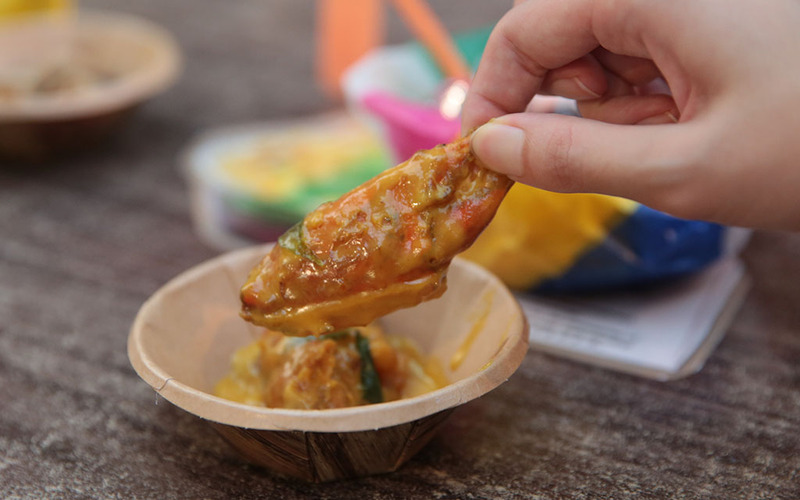 Paper Chicken has always been a staple for my family at special occasions and let’s be honest, it can get pretty pricey. With portions of this delectable dish getting served up at just 50 Cents, how could you refuse?! 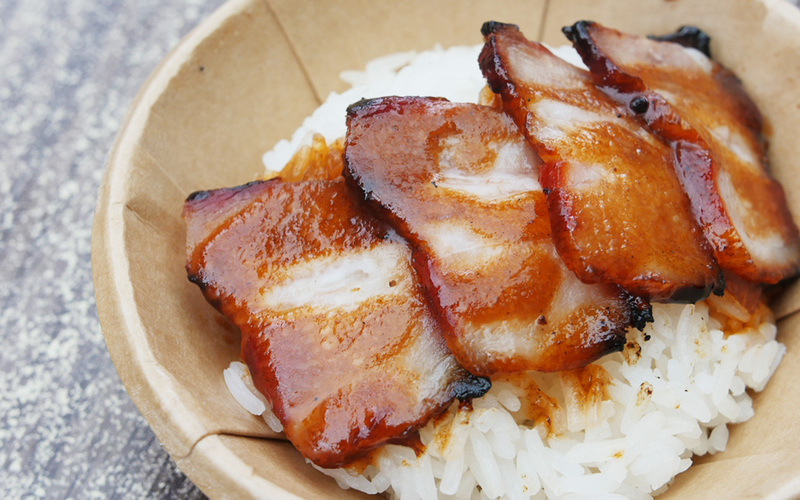 Popular for being Singaporean’s go-to dish for a quick lunch/dinner, the Char Siew Rice being sold at the 50 cents Fest will not disappoint. With 4 generous slices of Char Siew sitting atop a bed of rice, this dish will promise to bring you all the comforts of home. 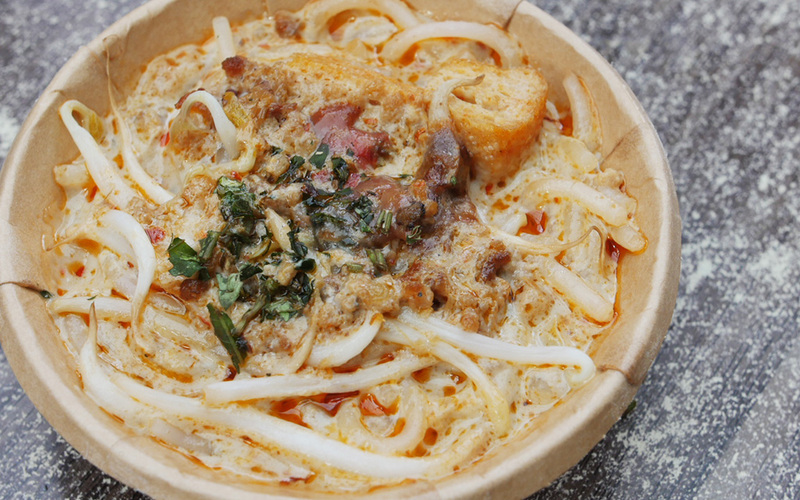 The laksa here is extremely fragrant and will leave you salivating once you’ve taken a whiff of it! 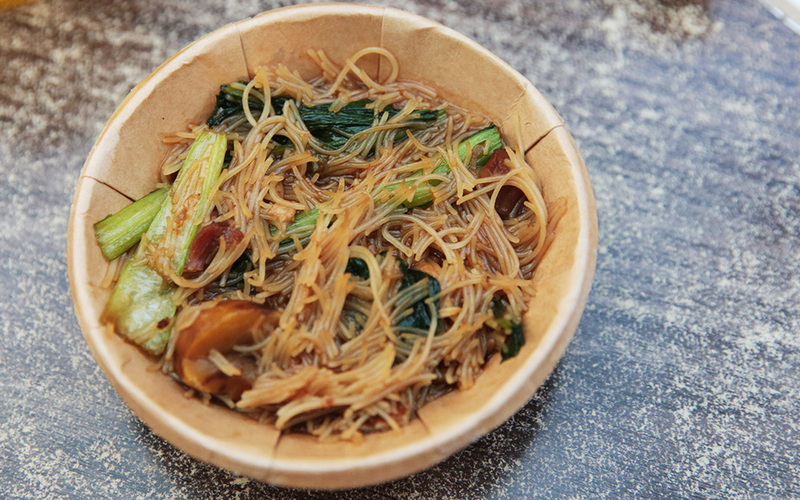 The generous portion of noodles will leave you queuing for more! 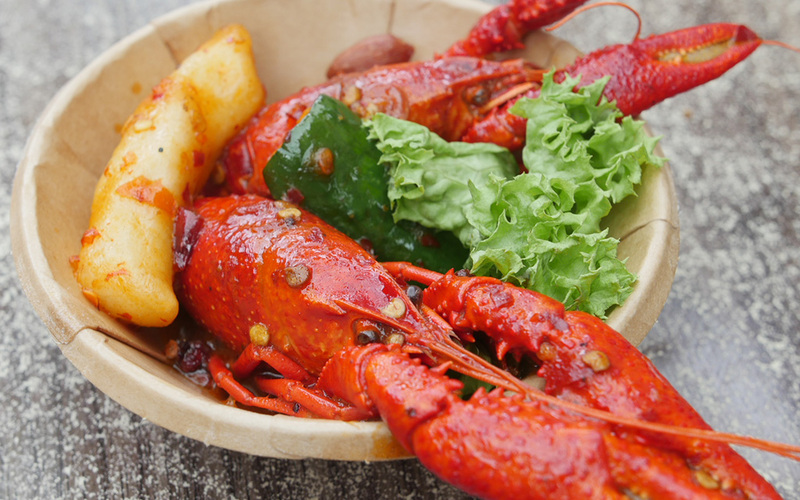 Don’t be fooled by the size of these little critters cause these baby crawfish are actually cooked in a spicy Mala sauce! While this dish definitely packs a punch, it is a MUST TRY for all spicy-food lovers! For those unfamiliar to Mala, keep a bottle of water on standby if you’re giving it a go. Choose from warm or cold desserts right here at the fest! 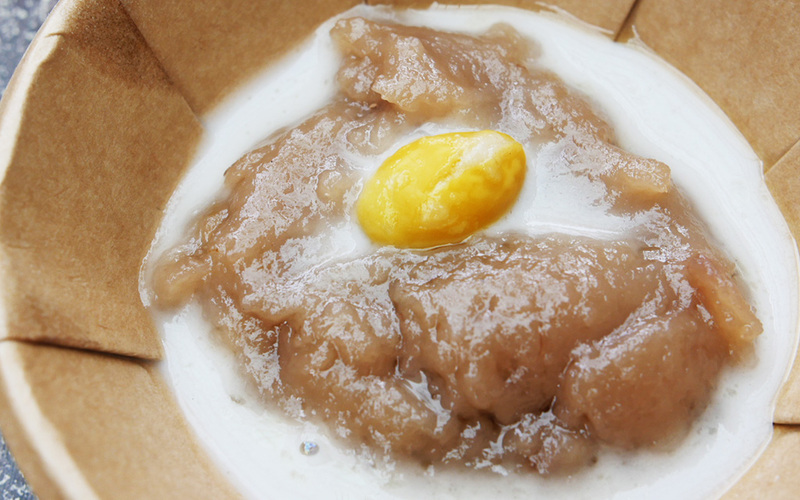 With crowd favourites like Sng Bao and Orh Nee (steamed yam with gingko nuts), there’s something for EVERYONE whether you’re trying to beat the heat or re-create your childhood! Experience some major throwbacks at the dress-up station! Grab your friends to done on the uniforms provided and snap a pic against the dragon playground backdrop! P.S You might even spot your very own school uniform if you’re lucky! Other old-school games will also be available to the public for free and there’s even a giant version of pick-up sticks to play with! 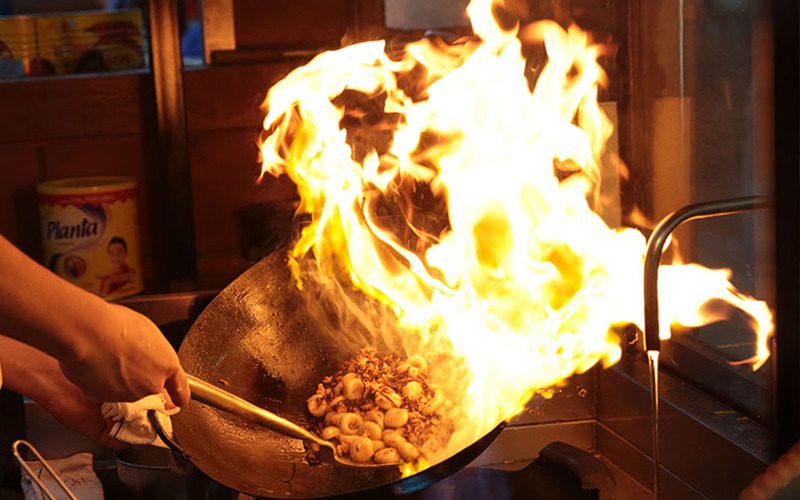 Don’t miss out on all the fun at Chinatown’s 50 Cents Food Festival ! Don’t forget to hashtag all your pictures with #The50CentsFest and we’ll see you there!